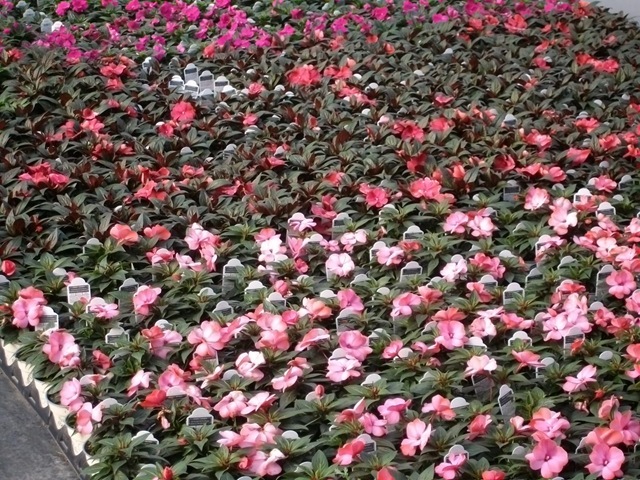 I guess everyone took a breather this week. 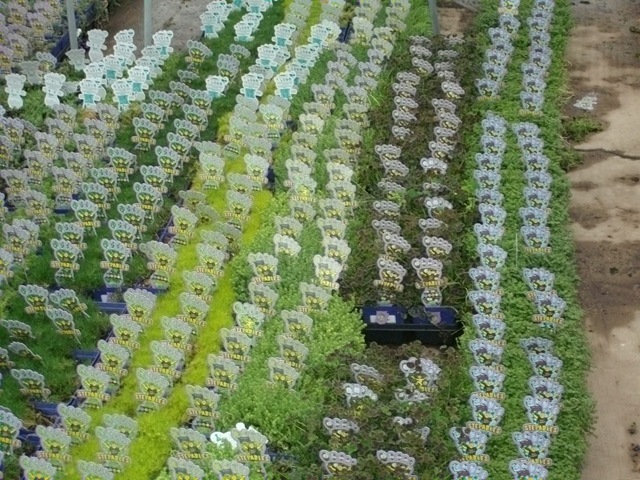 We were busy but not as busy as last week. We talked to a lot of people across the central U.S. and heard the same thing. 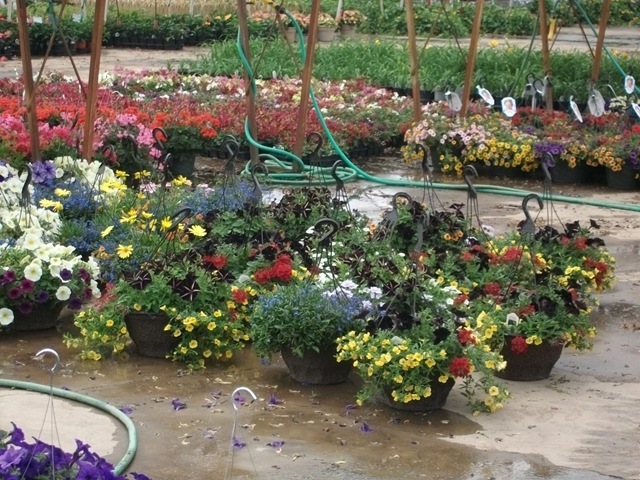 Retail sales apparently slowed down last week and weekend. 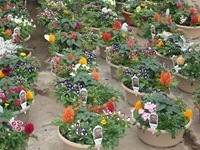 Sales were steady but not what was expected. 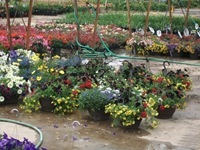 Some rainy weather also contributed to the drop. 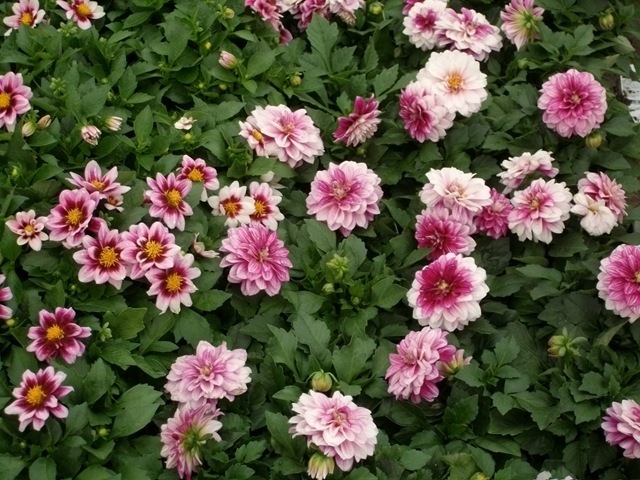 I’ve been sitting here off and one for about a half an hour trying to come up with something to talk about and have not had any luck so that’s all you get this week. 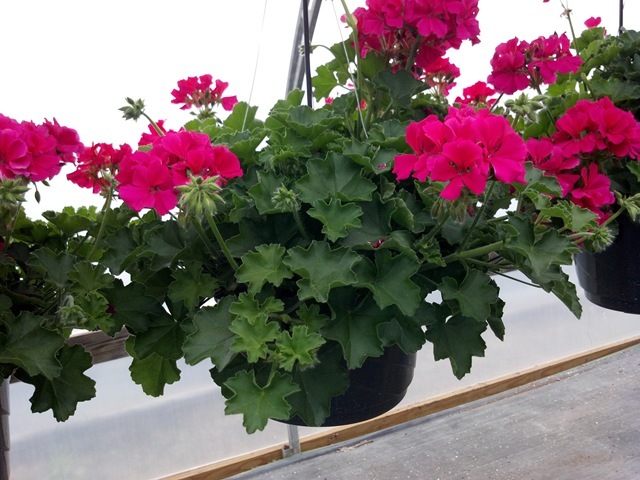 While having a chance to catch up on some stuff that we were behind on around the farm and also getting to go home before dark was nice, I am looking forward to going gangbusters next week, and we have the plants for that. 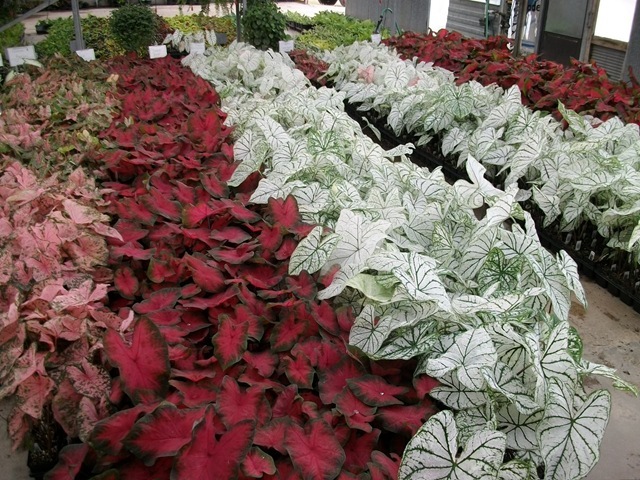 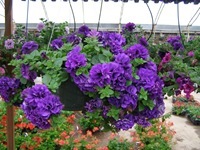 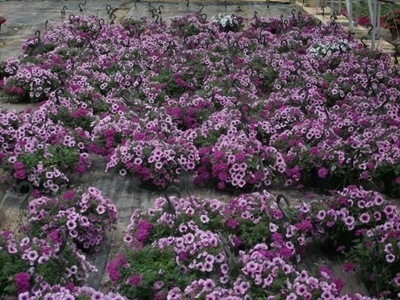 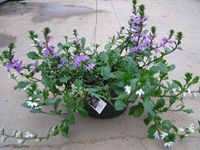 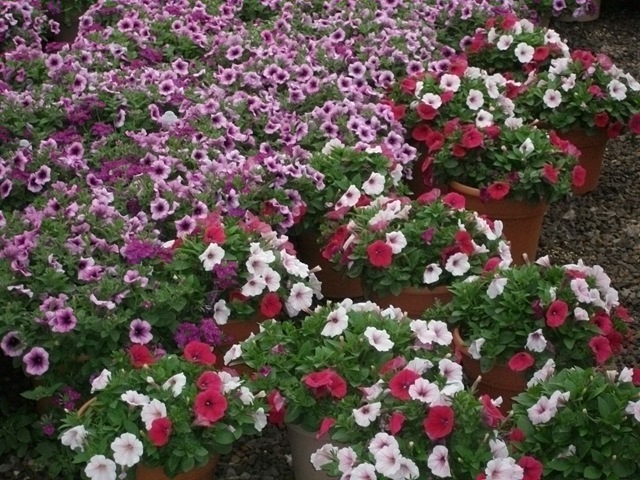 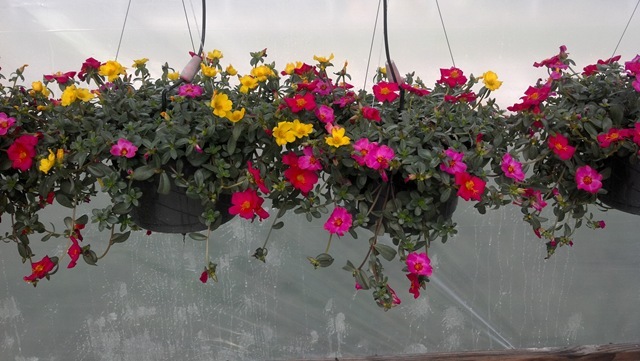 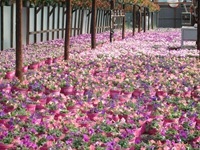 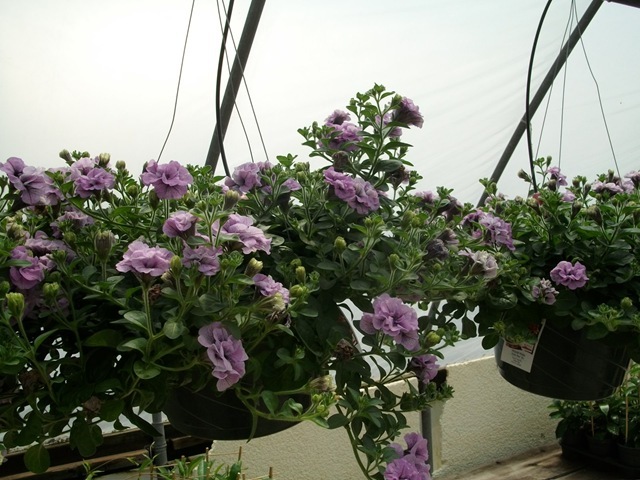 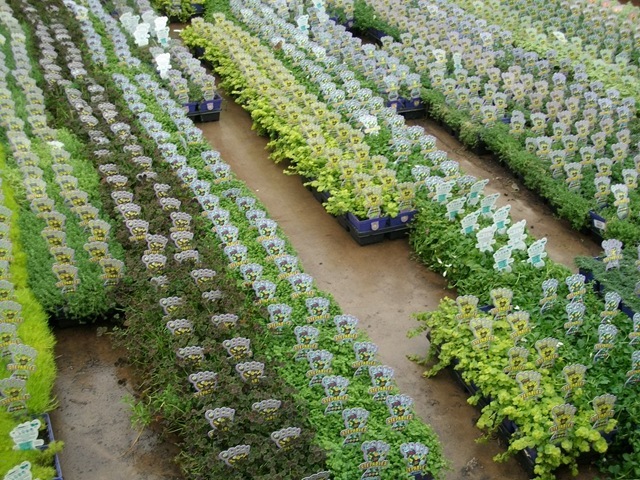 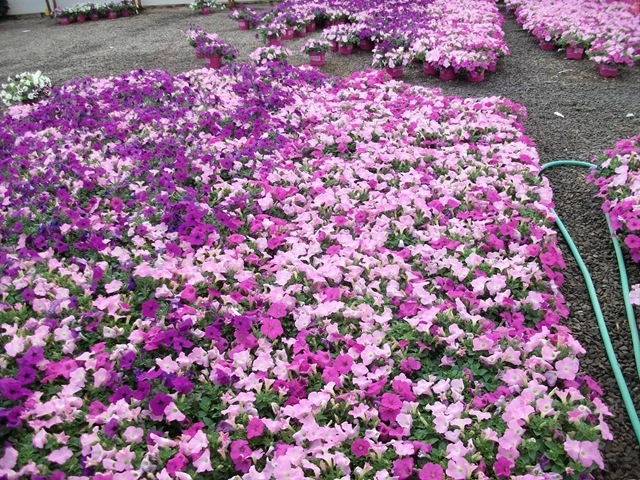 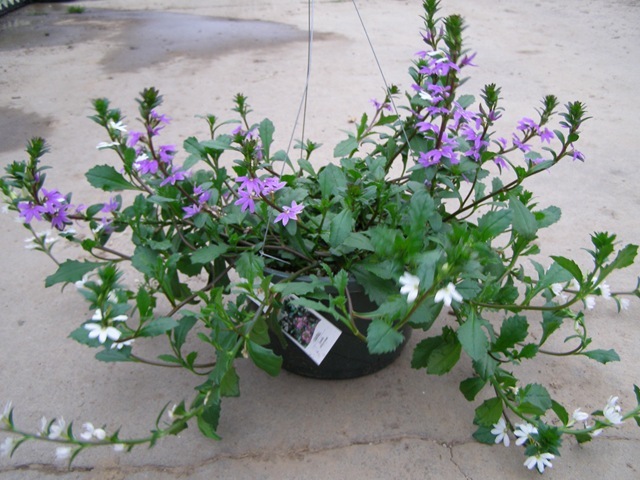 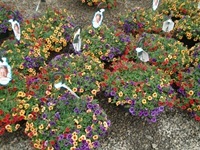 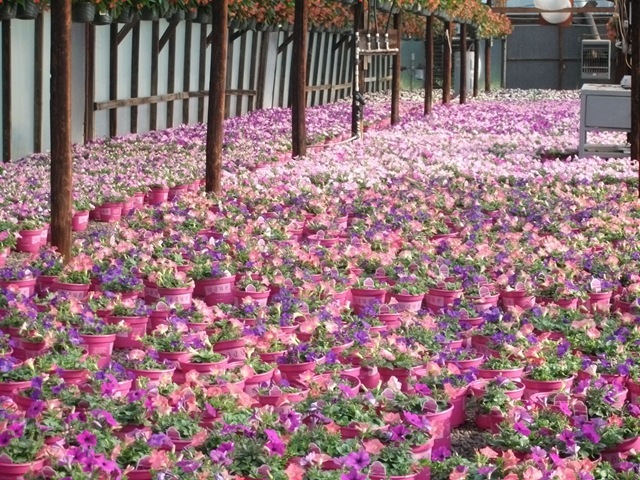 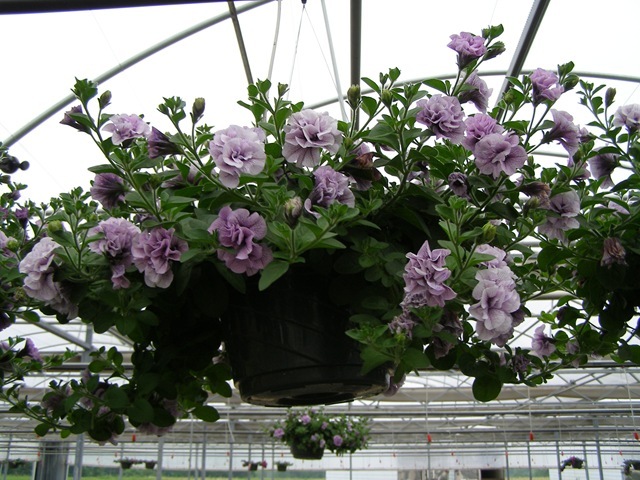 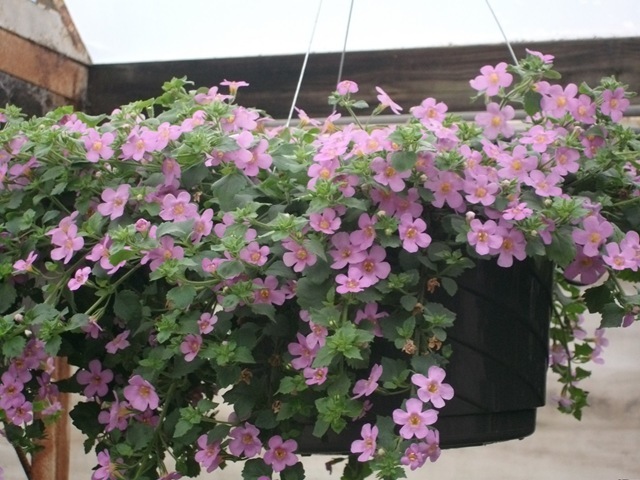 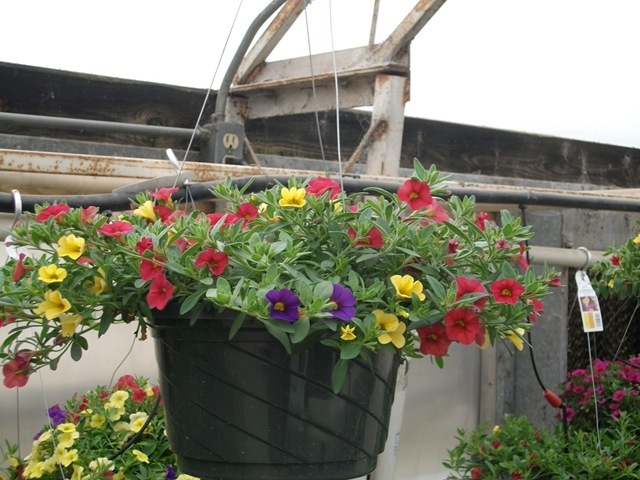 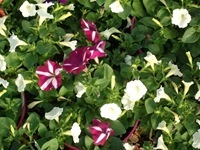 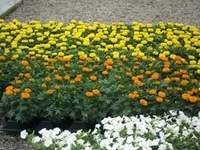 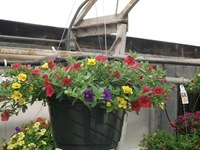 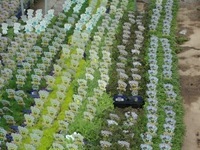 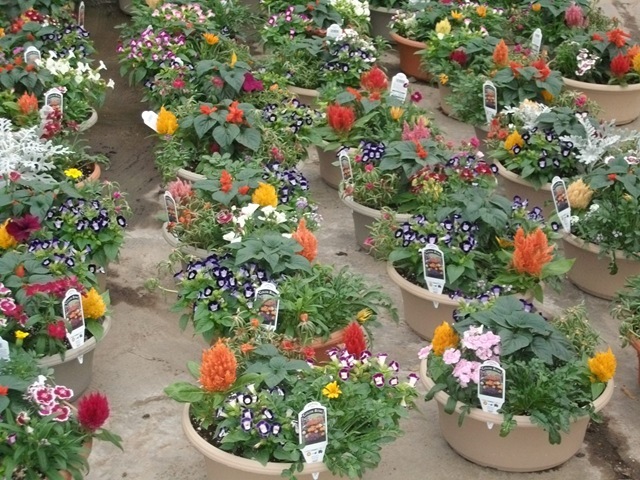 Our #8 Square planters look great and the Bacopa baskets are nice and full. 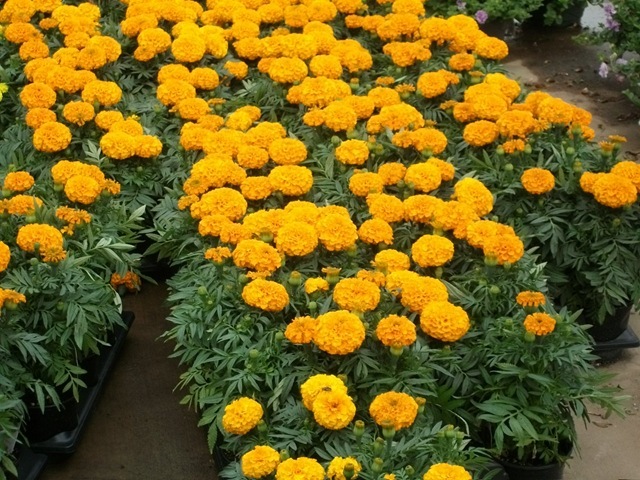 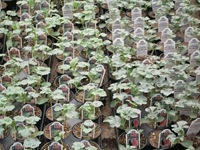 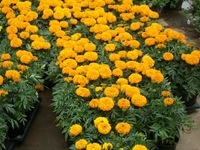 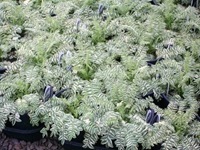 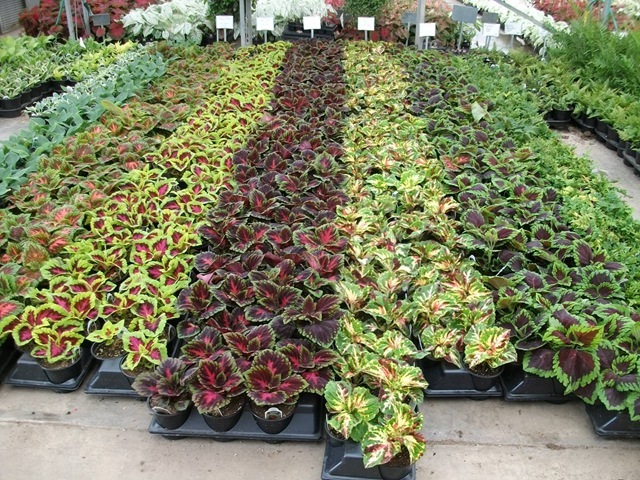 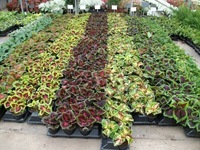 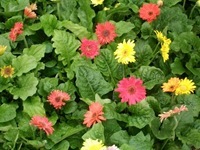 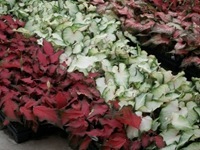 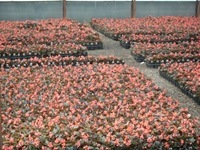 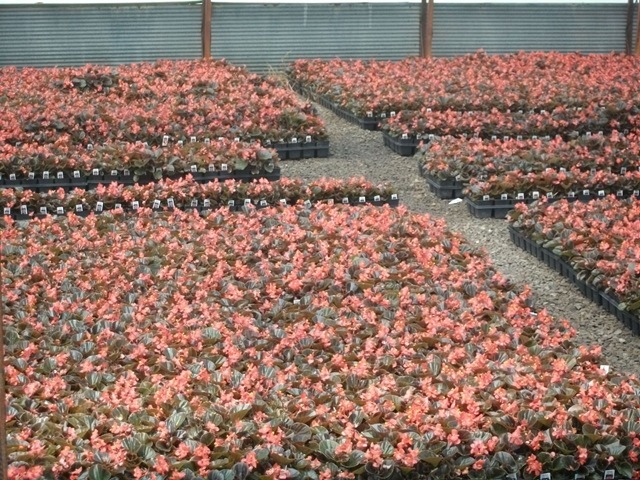 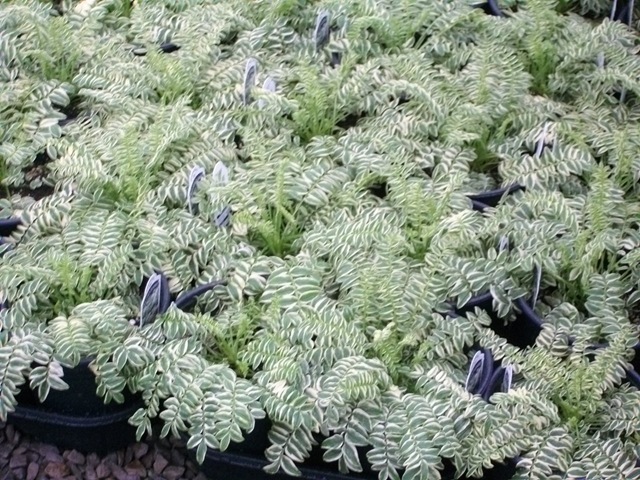 Lots of Calibrachoas in several sizes are available in mixes and solid colors. 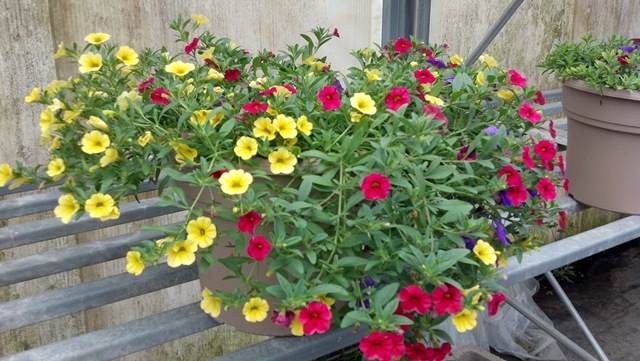 Mix only in the deco pots. 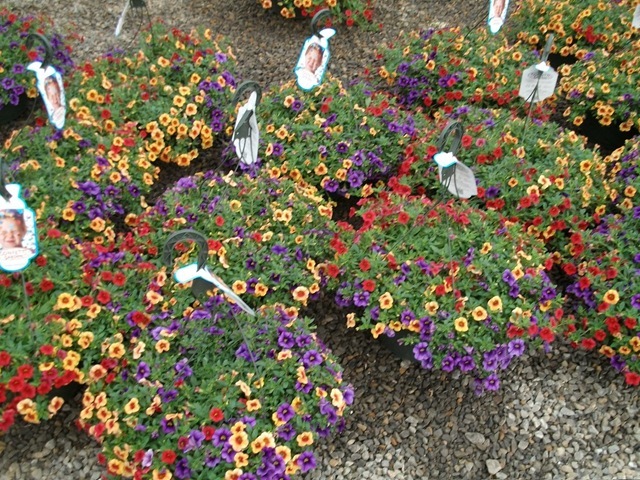 We are getting down to the last of our #12 Confetti Garden baskets. 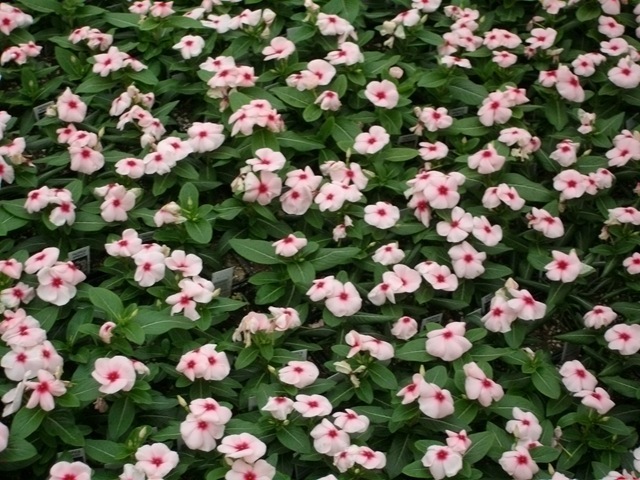 The Cora Vinca is more resistant to phytopthora (did I spell that right?) and we have both the Cora and Cora Cascade in #6 pots. 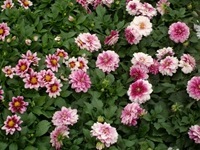 Dahlinova Dahlias have nice color and the Dragonwing Baskets are huge. 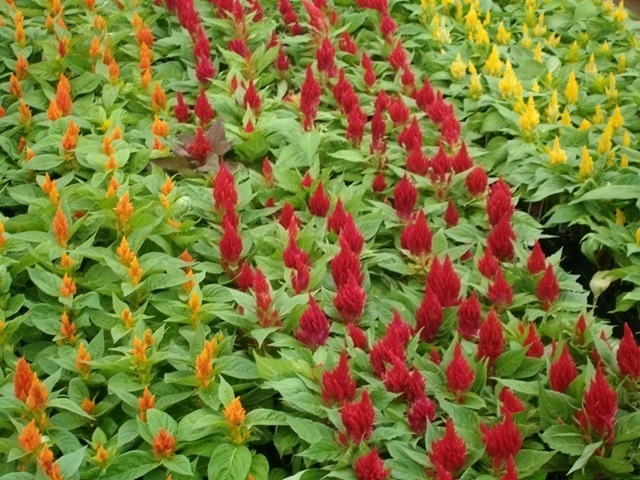 Fresh Look Celosia is both bright and tough. 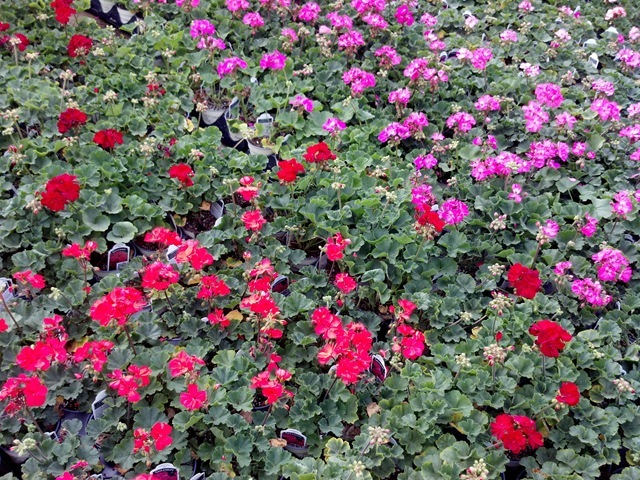 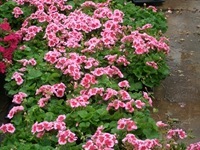 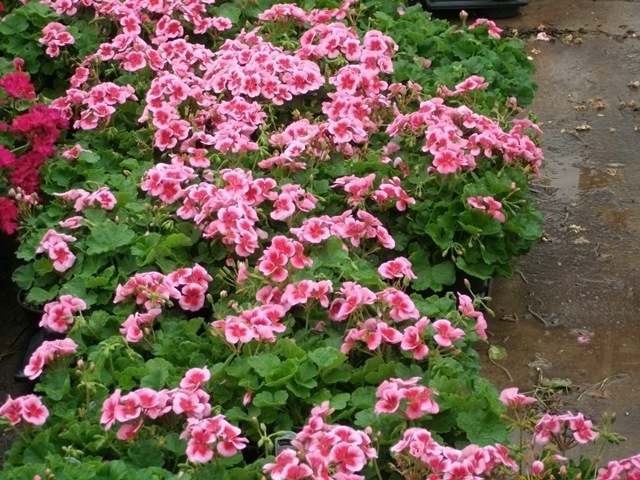 The Rose Splash Geraniums have been popular this year. 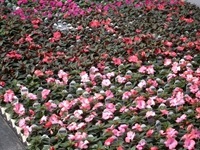 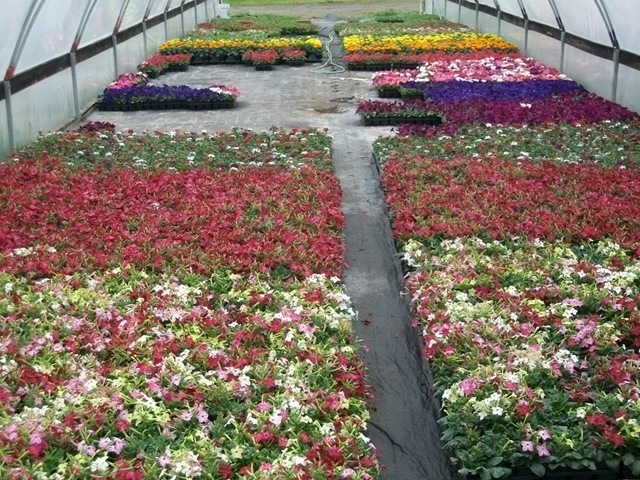 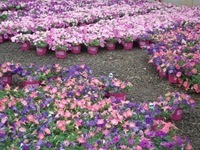 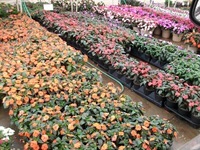 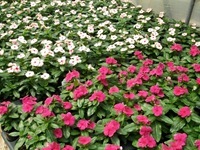 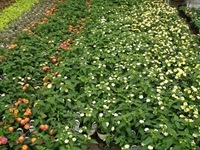 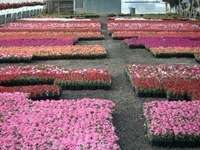 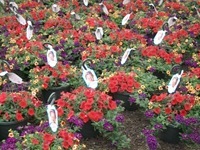 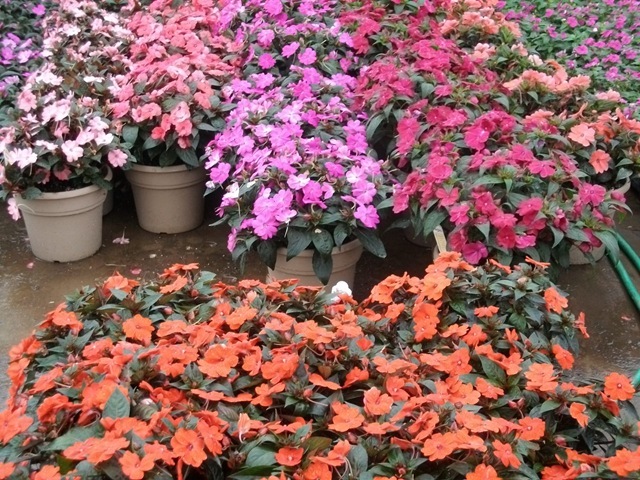 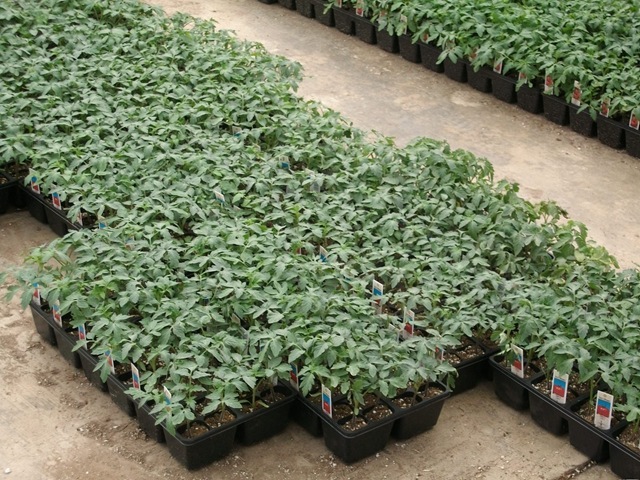 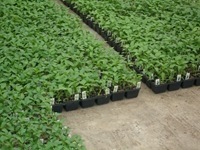 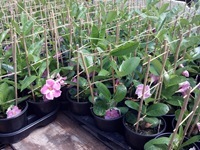 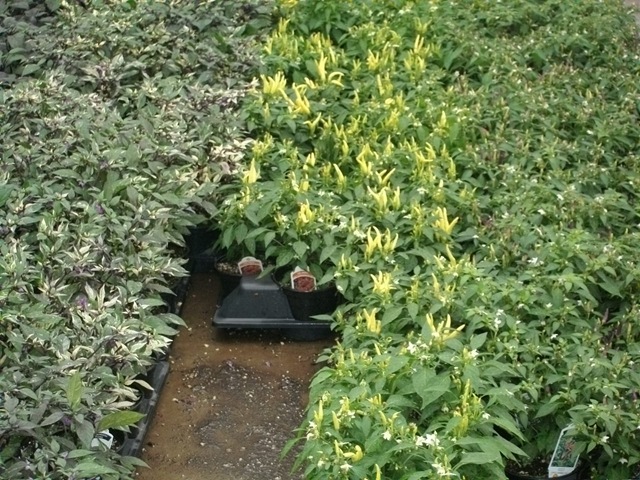 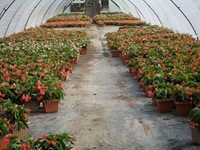 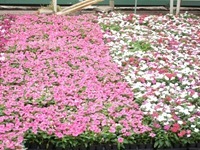 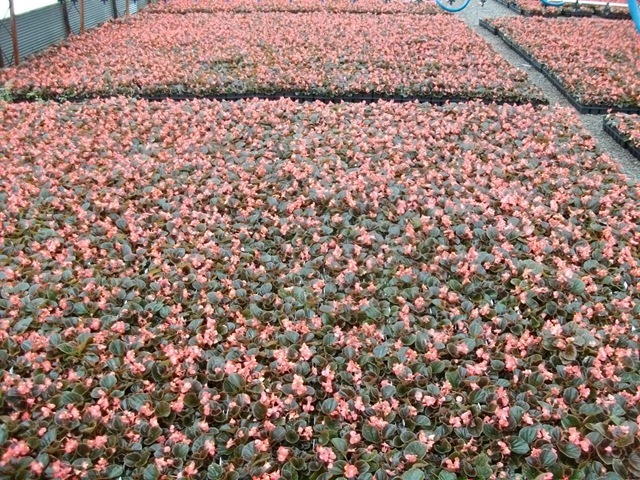 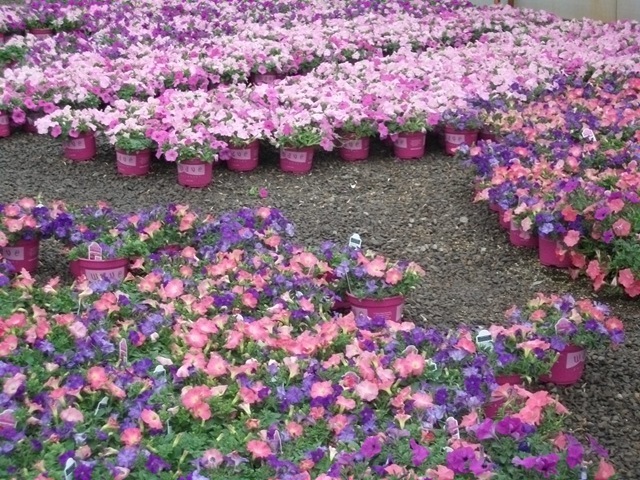 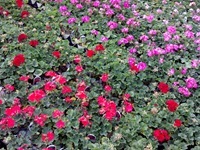 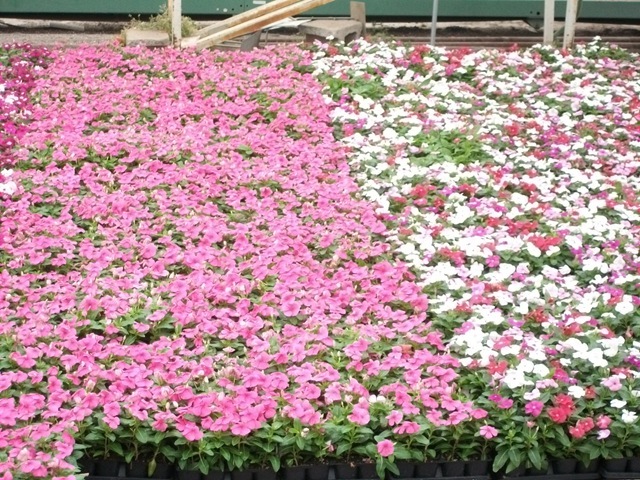 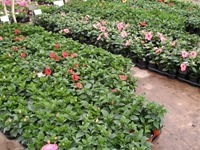 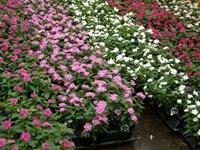 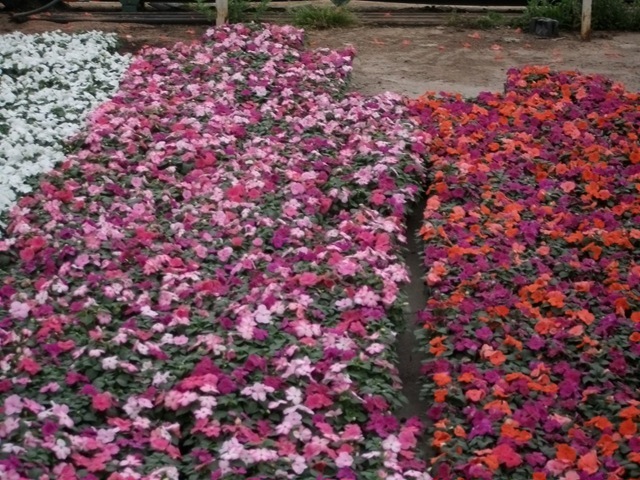 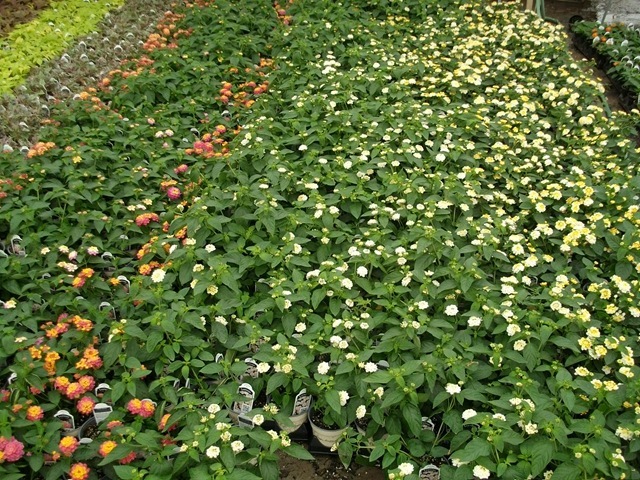 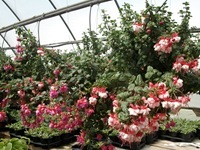 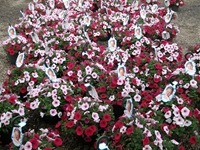 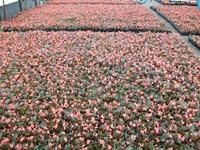 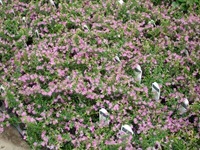 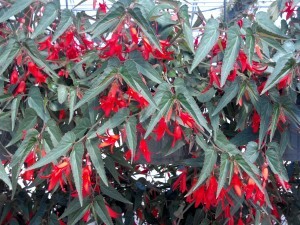 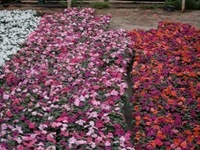 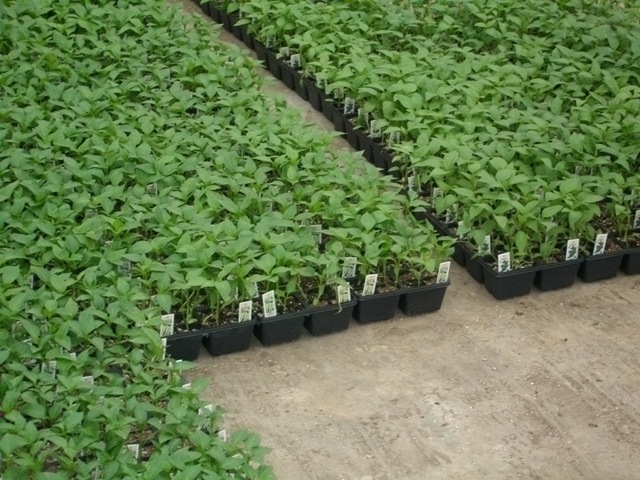 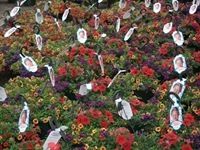 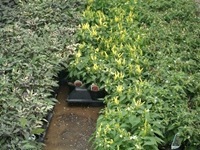 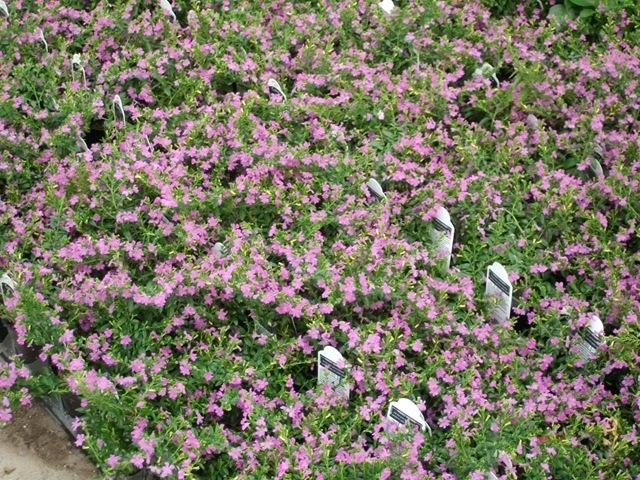 Lots of impatiens to choose from. 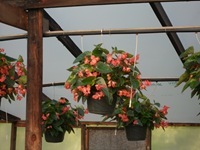 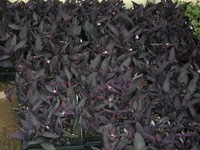 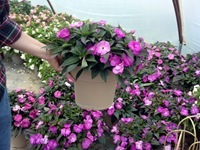 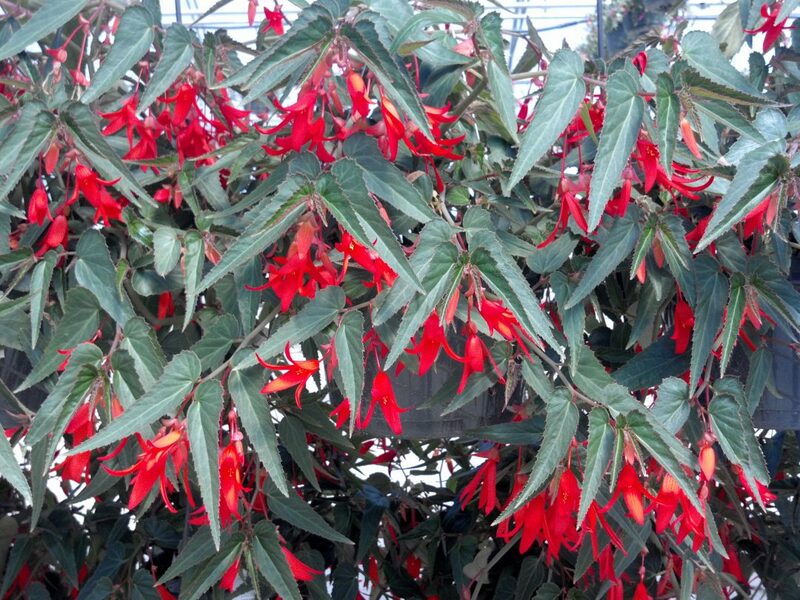 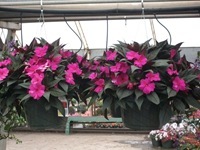 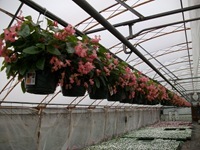 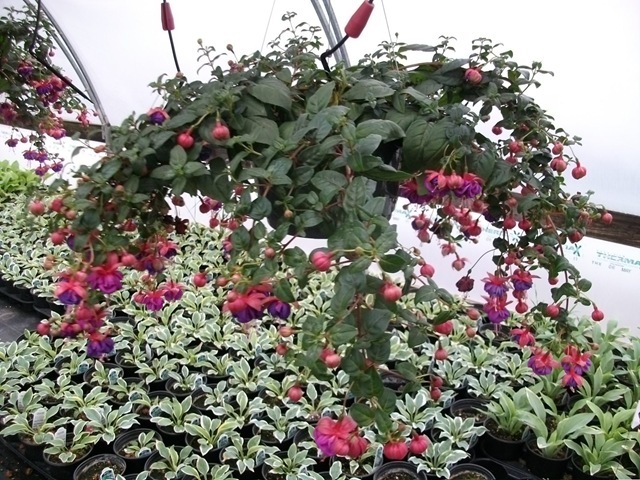 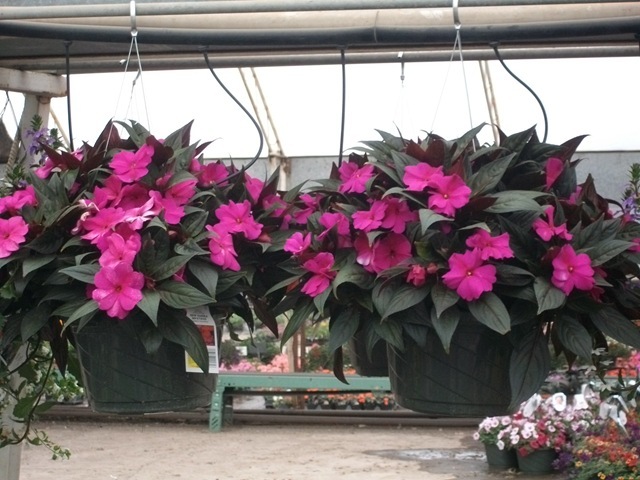 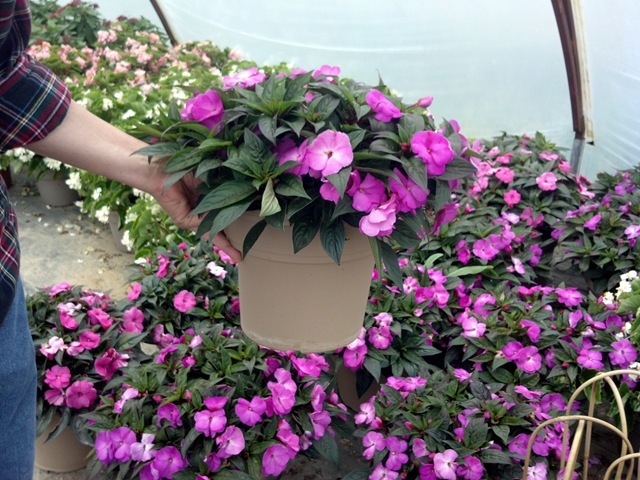 New Guinea Impatiens with good color in deco pots, #4.5 pots and hanging baskets. 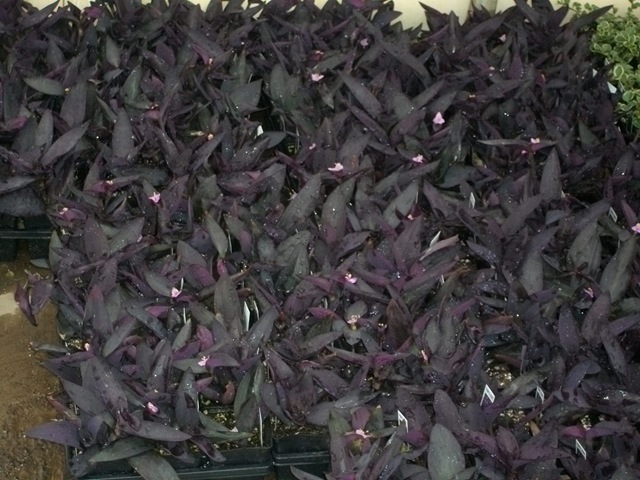 Sweet Potato Vine and Ornamental Peppers – great for accenting foliage plus you get the added color for the peppers when they ripen. 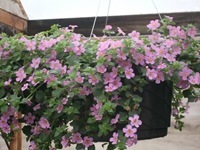 All our hanging baskets look great. 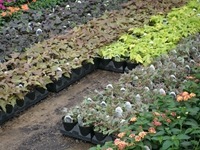 We still have a good selection of Stepables. 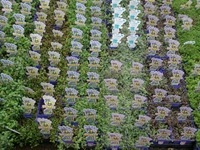 Veggies for those who are just now getting around to planting their gardens. 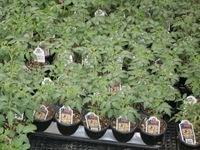 Another humorous video on how plants can help you heal from the folks at Grower Talks. You can check out their YouTube channel here. 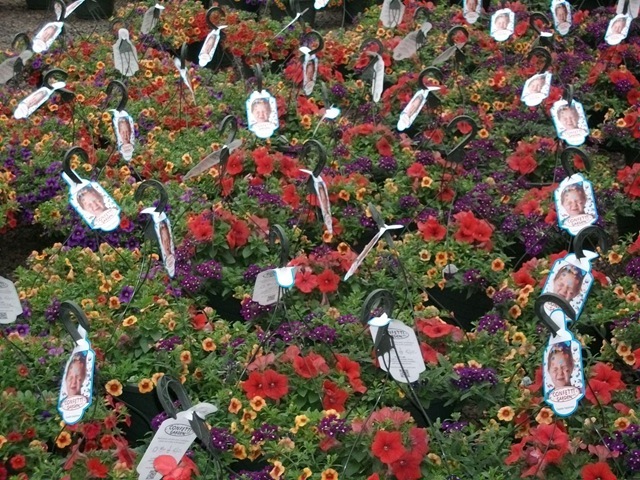 What makes this more humorous is if you know Bill (the patient) who was actually in the hospital recently. 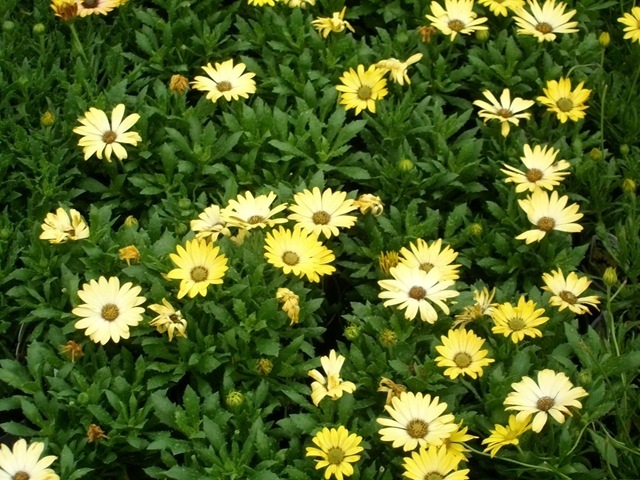 That is if you think having a friend in the hospital is funny which kind of makes me sound awful now that I think about it. Glad you’re feeling better, Bill! 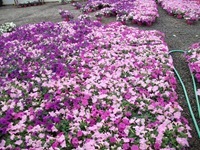 How Was Your Week? 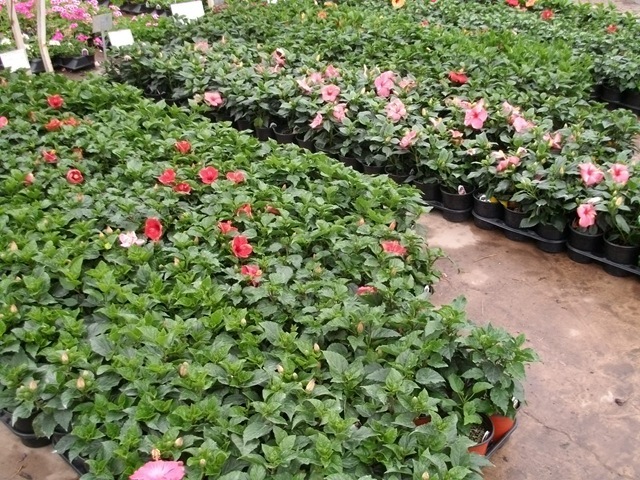 And Pictures! I hope that you all had a great week and have an even better weekend. It is a little rainy today but I don’t think that will stop anyone from shopping for some plants this weekend. 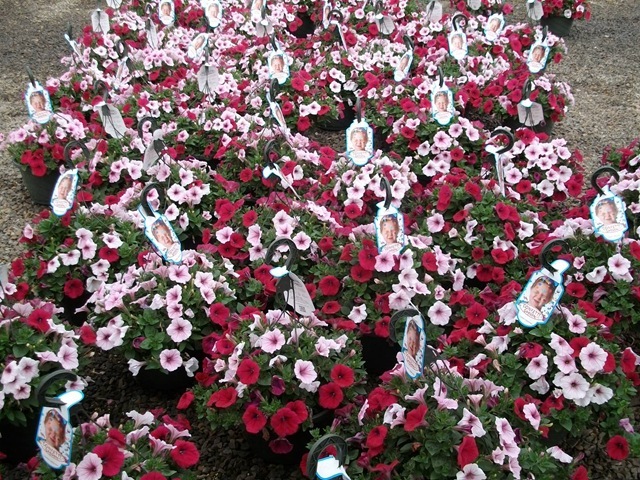 One of my best friends has been texting me questions all week about what to plant at her house. 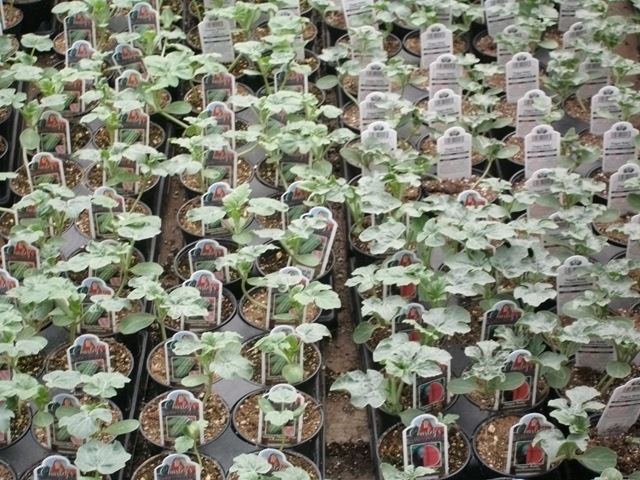 That tells me that there are still people who haven’t planted yet and that we can probably expect a good weekend. 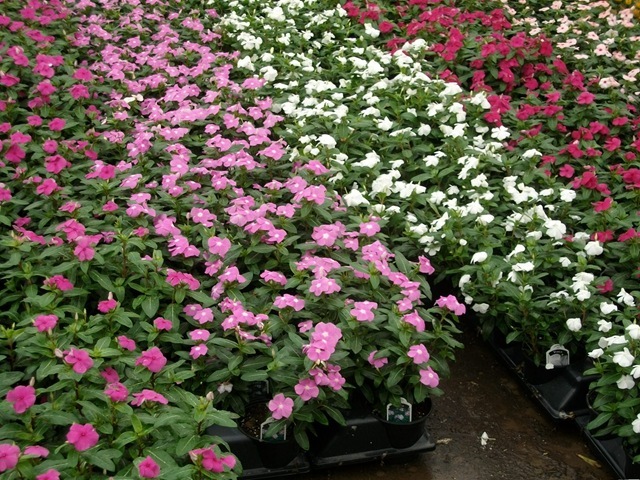 I did an earlier post on the downey mildew problem affecting Impatiens (impatiens walleriana) that some people in the Northeast and Midwest had encountered last year and that could spread our way (you can read that post here). 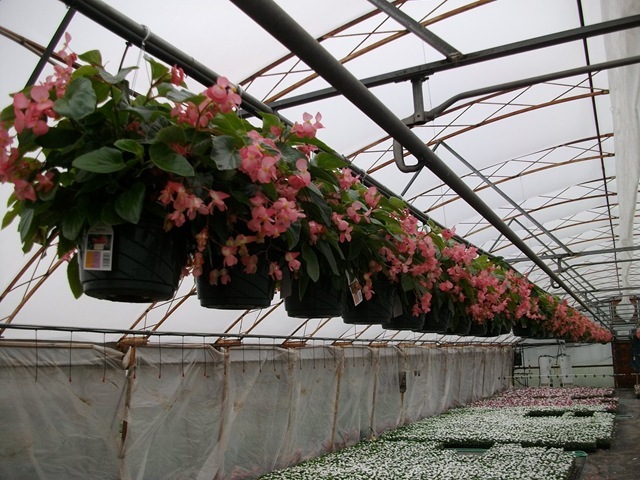 We wanted to let you know that we have been treating our impatiens with two rounds preventative fungicides to help protect the impatiens if you are concerned about the downey mildew threat. 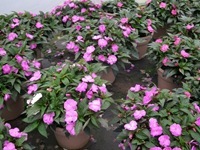 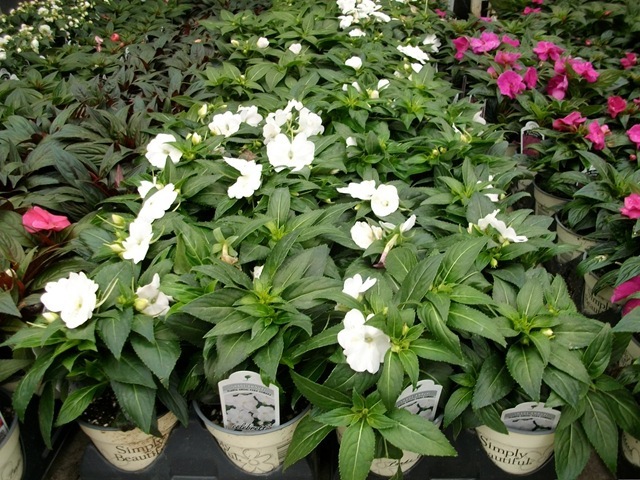 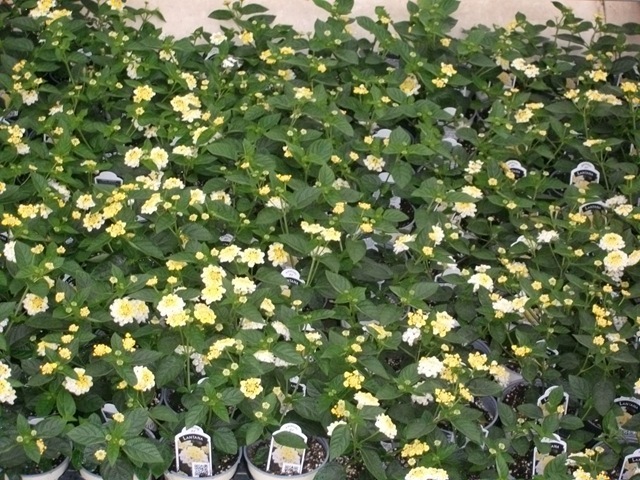 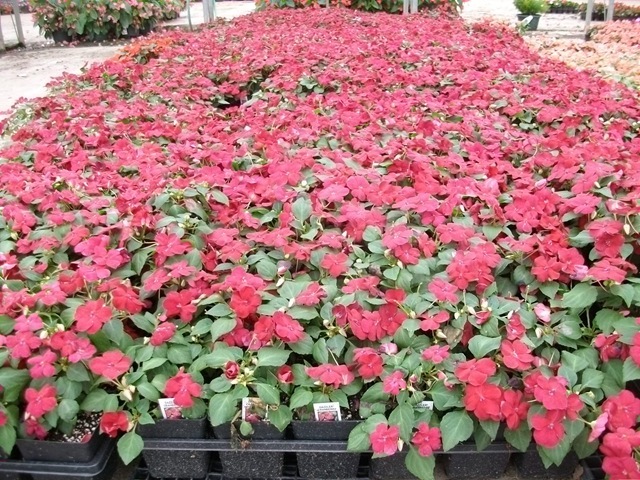 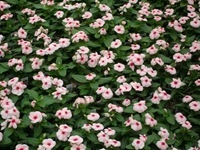 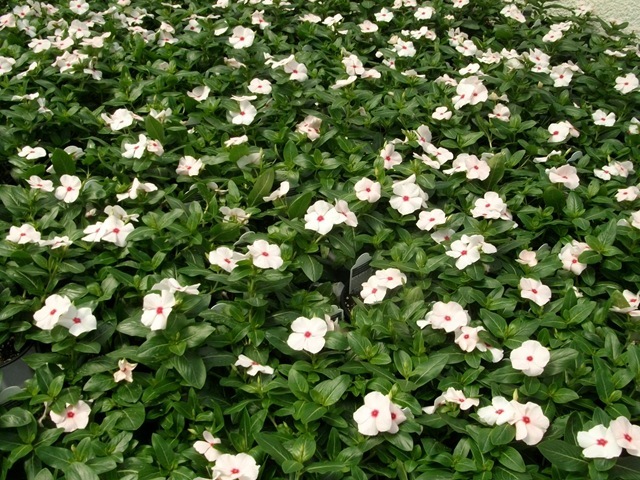 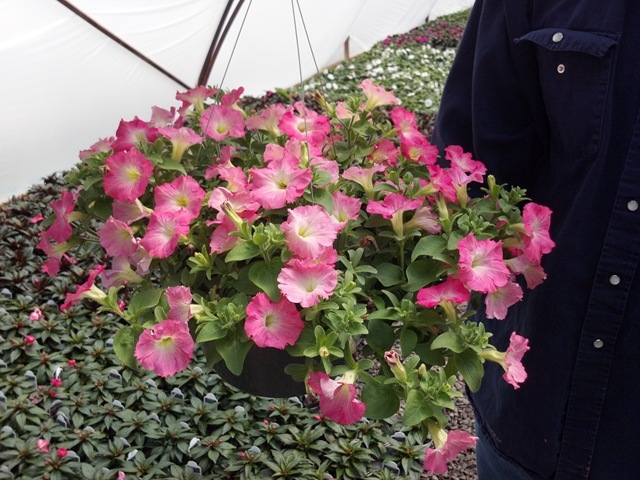 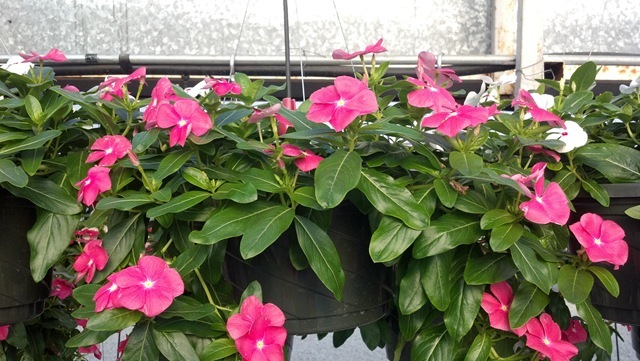 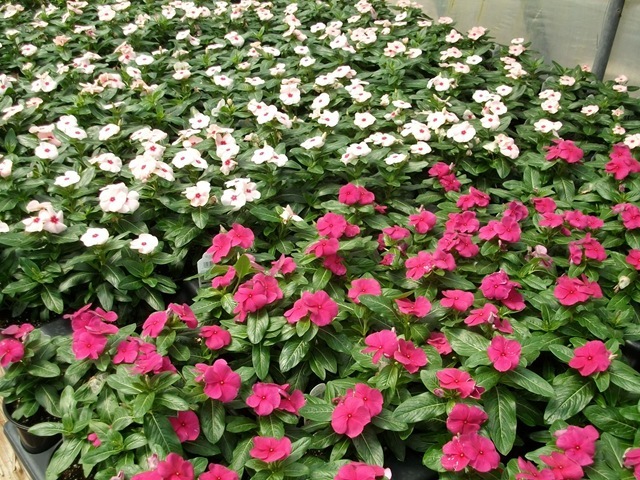 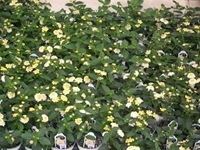 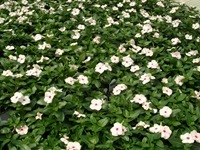 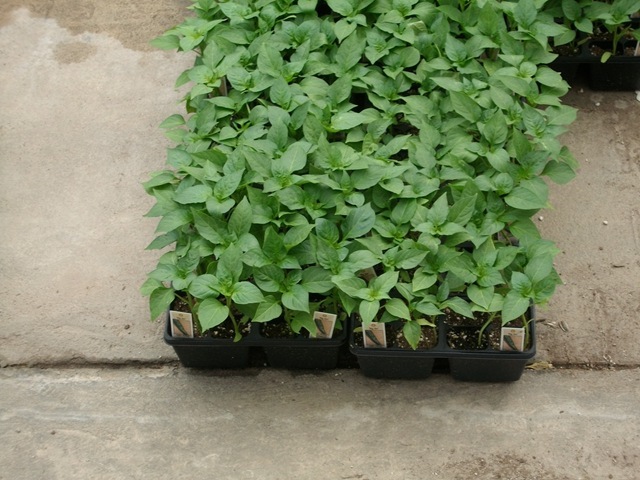 We have been getting some compliments on our #4.5 New Guinea Impatiens even though they don’t have a lot of color. 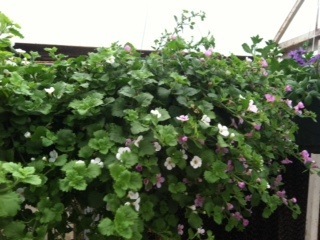 The plants are bigger this year than they have been in the past years. 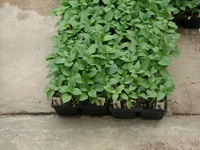 If you haven’t ordered any, you might want to try a few again. Also the downey mildew doesn’t seem to be affecting the New Guinea Impatiens (impatiens hawkerii) like they are the regular Impatiens (impatiens walleriana). 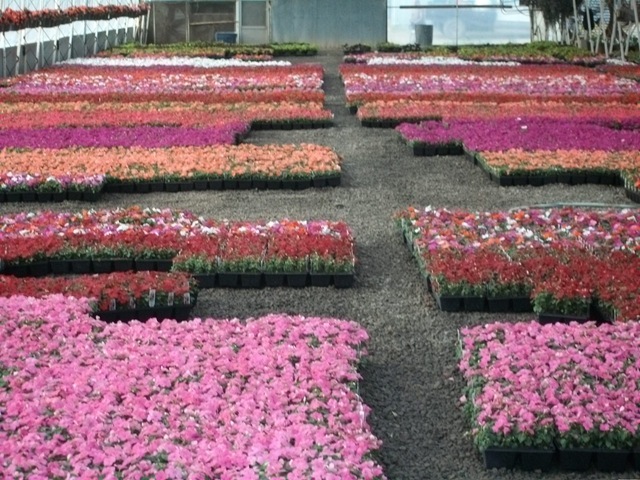 Be sure to check out our Current Availability if you don’t get out email. Caladiums and Polemonium Bries d’Anjou make for a shady partnership. 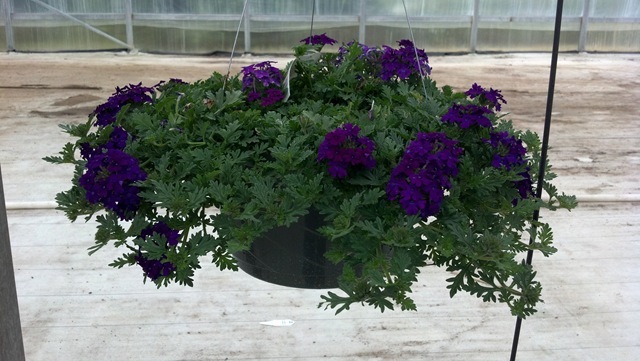 New crops of #12 Confetti Baskets and Deco pots. 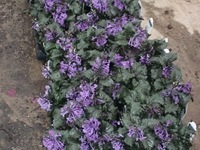 Confetti Garden Purple Cleopatra – more purple than you can handle? 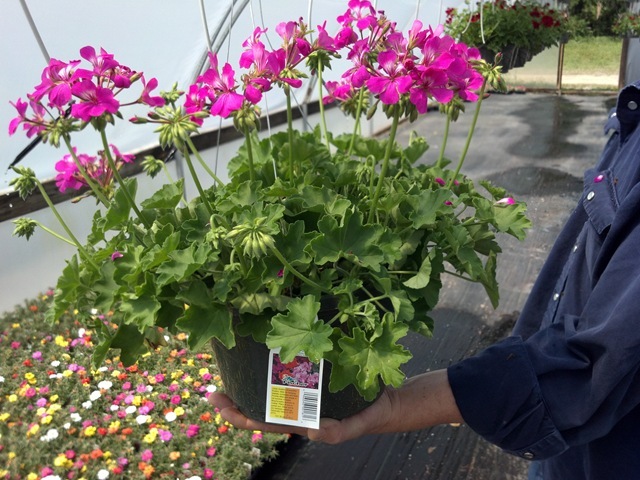 Double Wave – twice the bloom for your bucks. Caliente Geraniums are interspecific geraniums which means that they are a cross between Ivy Geraniums and Zonal Geraniums. 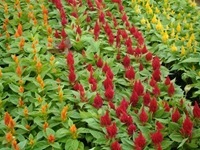 This combination breeds in the best of both plants. The Caliente have a mounding/semi-trailing habit with the Ivy Geranium type blooms. The Pink Mandevilla is starting to bloom too. 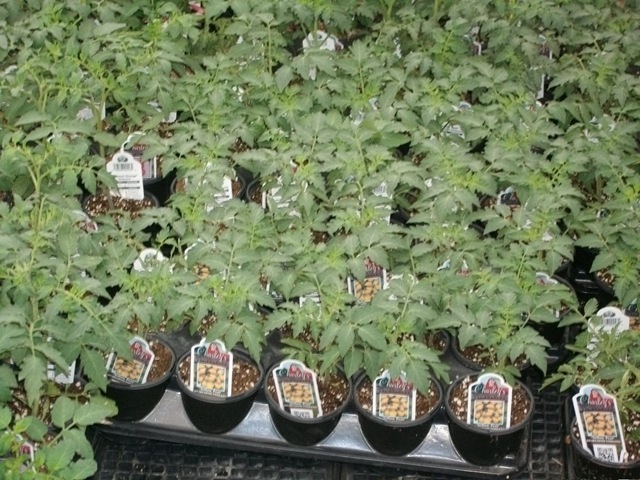 Stepables – we stack them up on the rack for shipping. 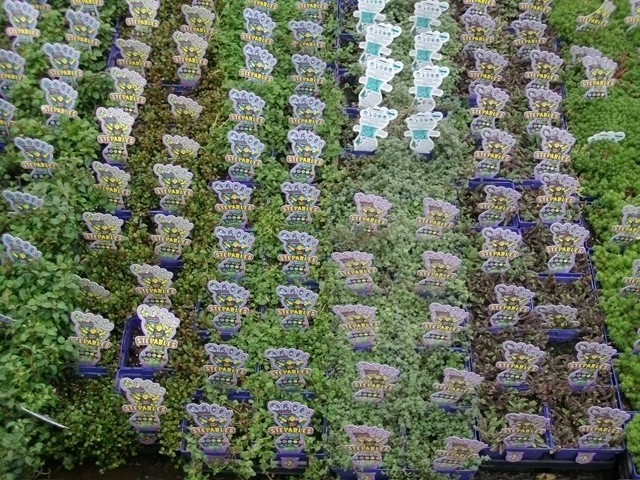 Just kidding. We could but we won’t do that to you. 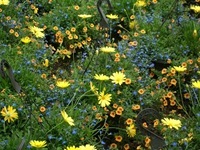 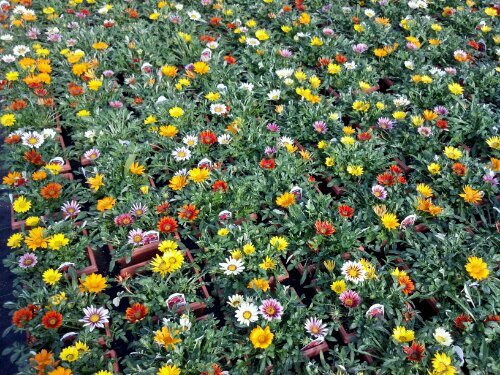 Gazanias in #8 SQ pots.